The 2012 London Olympics has come and gone and the world is gearing up for the London 2012 Paralympics starting next week. These olympic games marked the first international sports event with very strict social media guidelines. While we were all tweeting about our favourite athletes, many of these athletes were forced to keep their thumbs off their smart phones throughout the games. 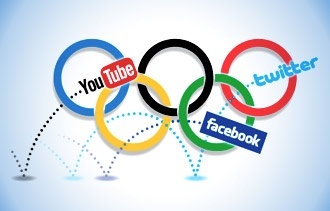 Spectators are allowed to take videos, but they’re not allowed to upload them to any social media channels such as YouTube (you must have noticed that videos from the Olympic Village got pulled from YouTube almost as soon as they were uploaded by a spectator). Some of these guidelines are understandable. Companies such as McDonald’s and Coca-Cola pay massive amounts of money to be an official Olympics sponsor, so it would be unfair if brands got promoted by popular athletes. The problem is that many people want to follow the “behind the scenes” experiences at the Olympics – something they can’t do if their favourite athletes aren’t allowed to “tweet in the first person in a diary-type format”. Regardless of the social media guidelines, we were all still watching the developments closely.